That blazer is quite probably the hottest thing I've seen in a while! 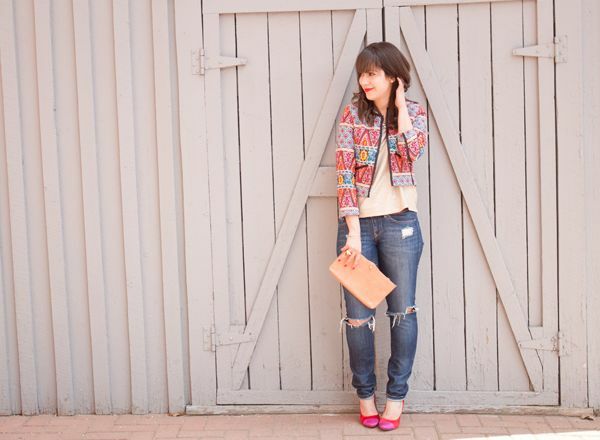 The blazer is super cute and I'm loving those bright pumps! Shopping is a fickle friend but if the skirt you picked up is the skirt I'm thinking of, we're in for one helluva outfit post. 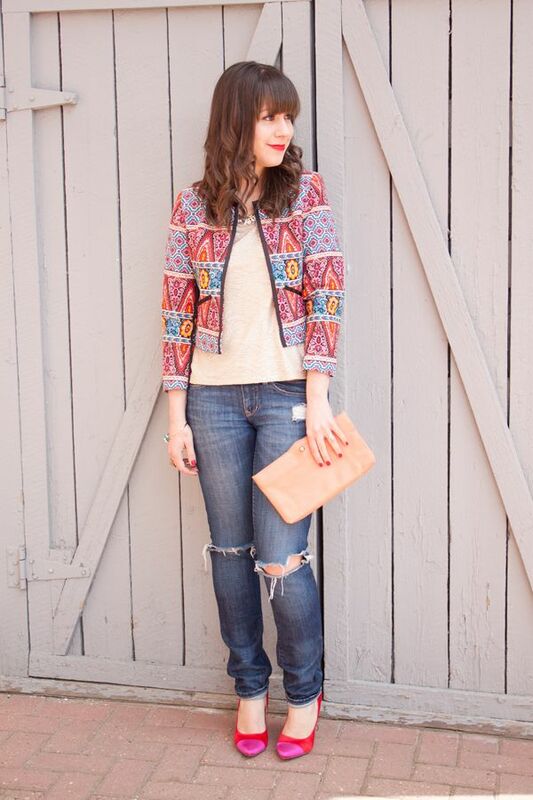 This blazer is so amazing!!! Love the colours and pattern on it. I'm on a shopping ban for sure!! Sounds like a productive month! 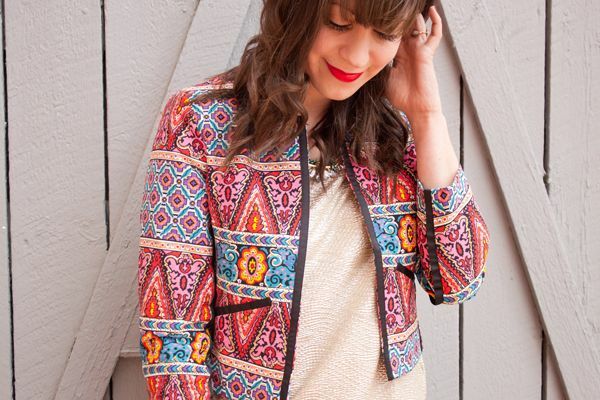 This blazer is amazing - love the colors and the print. It'll go with everything (maybe forever). Just keep repeating that to yourself as you pay it off! I only shopped on ASOS once because I ended up being charged so much in Duty!! I thought I'd bypassed the duty thingy by ordering from the US site...but not so much...did you end up with a bunch of additional charges? I love their stuff, but the idea of running into so many hidden fees again scares me! Very nice outfit. You look very hot. That blazer is FANTASTIC. 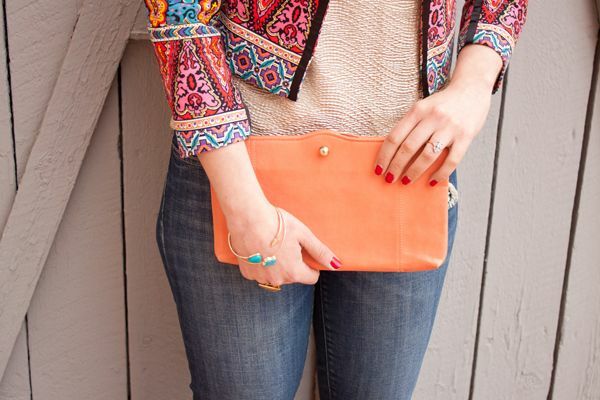 I love love love the colours and prints. Perfect. That blazer is so fun!